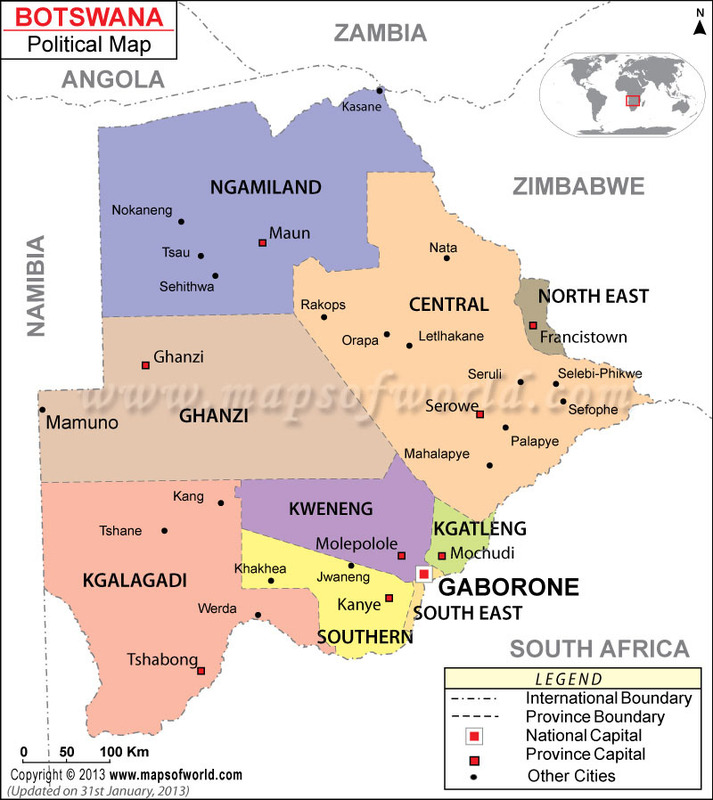 One of the oldest towns of Botswana Africa is Francistown. The town of Francistown is famous for gold mining. The town is also a significant tourist center owing to the variety of attractions. Some of the most fascinating sights of Botswana like the Tuli Block and the Salt Pans are close to Francistown. Francistown in Botswana is designated as the “Capital of the North” and also as the second-largest metropolitan hub of the country. Francistown Botswana is also an industrial hub. In the last decade, the population of the town has doubled. Commerce is also an important factor which influences Francistown. The sector of education is also receiving considerable amount of attention at Francistown. The history of Francistown also depicts that it was a successful town as a center for trade. At present the town has urbanized to a great degree and the most up-to-date addition is the Diagonal Plaza which is all in position to become the retail center of Francistown. To smooth the progress of the tourists of Francistown there is the facility of car hire at the town. Car hire locations at Francistown are available for the travelers at the Francistown Airport. There are various car hire offices at the airport. Air Botswana is the airlines, that serves the airport at Francistown. There are good hotels in Francistown. Thapama Hotel and Casino, The Marang Hotel are the renowned hotels of the town. The hotels provide the tourists with all the modern facilities and amenities.